Our community centre is home to 5 rooms and a beautiful courtyard ready to play host to everything from weddings to meetings. 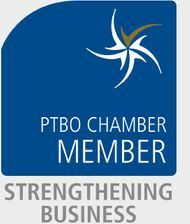 The Peterborough Lions Club Community Centre offers a unique park-like setting ideal for weddings, receptions, seminars, Jack N' Jills, parties, banquets, or meetings! Our main hall—the Swanston Room—comfortably accommodates up to 120 guests and features a large dance floor, variable lighting, climate control capabilities and DJ facilities. Thanks to a $135,000 dollar grant from the Ontario Trillium Foundation, the Peterborough Lions Community Centre was able to install a new wheelchair lift and wheelchair accessible washroom in the lower level as well as upgrades to the building to make it more user friendly for disabled, family, and regular clients. One of the advantages of hosting your wedding, banquet or private party at the Peterborough Lions Club Community Centre is the ability to bring your own food or catering! Create a night that is truly yours in our Swanston Room. We can accommodate between 10 and 120 people comfortably. We look forward to hosting you and your quests. Whether your event is large or small, we've got parking covered. Our facility features 40 private spots and as well an overflow area should you require it! Interested in taking a tour of the facilities? We'd love to show you around. You can visit us Monday through Friday in Peterborough. We're located at 347 Burnham St. and free parking is available on site.